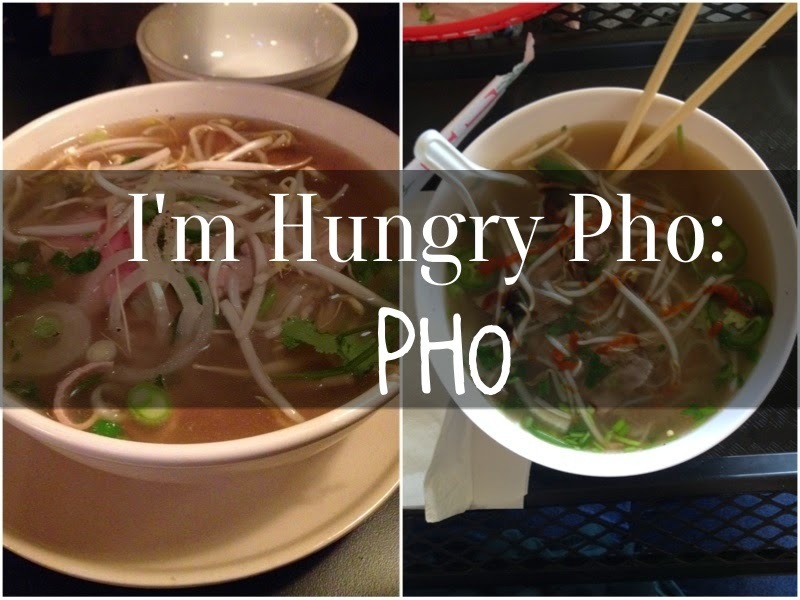 I haven't done an "I'm Hungry For" post in a while, and so today I decided to talk to you about one of the most popular/well-known Asian dishes and also the punniest of them all (hehe): pho. As you can see I also went a little overboard in the puns for the titles for this post. Pho is a Vietnamese soup that consists of a basic broth, meat (that is sometimes raw), rice noodles, and vegetables like onions, green onions, cilantro, bean sprouts, and jalapeños. There are a few different variations depending on the region of Vietnam that the pho is from, but that is is what the basic pho consists of. Pho on a summer day is still just as good under the cool shade! What's in it: Typically, pho is served with just the rice noodles, the meat, onions and green onions. The bean sprouts, cilantro, and other veggies are served on the side so that you may put as much of it as you want in the broth. There is also usually a lime served with the pho to add a nice sour flavor. As far as sauces go, the two most commonly used/mixed sauces are hoisin sauce and Sriracha sauce. Hoisin sauce is a sweet and salty tasting sauce and Sriracha is a type of Asian hot sauce. It's like the Tapatio for Asians, except the spices used are widely different. How to eat it: As you can see from my photo above, I have some chopsticks and a soup spoon. Typically the chopsticks are to pick up the meats, noodles, anything that isn't broth. The soup spoon is obviously for the broth. But some people like my boyfriend take the meat or veggies or noodles with chopsticks and put it into the soup spoon so they can have it with the broth at the same time. I say it's pretty genius. I do it sometimes too, but not all the time. Cost: For the most part, pho usually costs between $6-$9, and the portions are HUGE. I'm not sure if you can tell by my photos, but the bowls are quite large and so getting some pho is well worth your money (especially if you get it between $6-$7). Best time to eat it: Most people say it's best to eat pho when it's cold or rainy because it's so hot that the broth cooks your meat (yes, the meat is typically raw because of the hot broth but you can request cooked meat if you're not comfortable). For me, I'll eat it no matter what time of the year, as long as I'm craving it and won't be dying of heat from eating it. Whatever your preference is with eating soup is up to you! 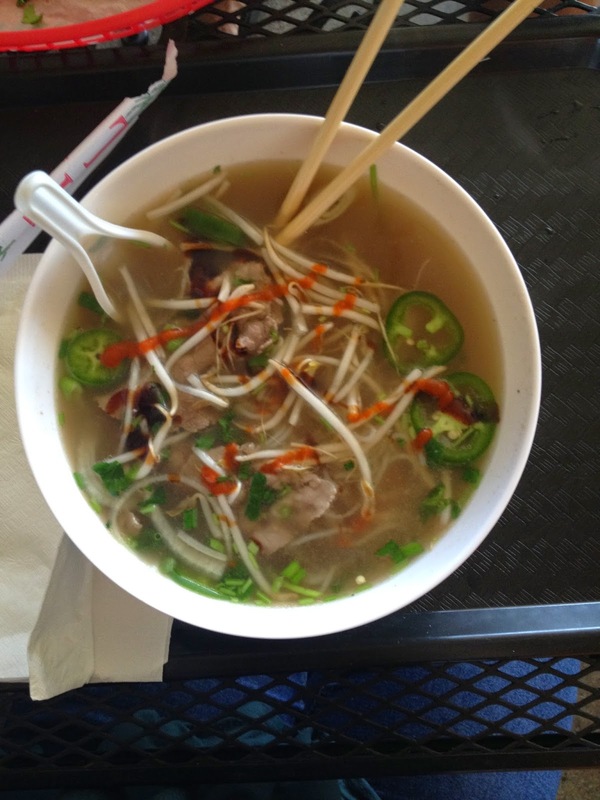 So, what are your thoughts on pho? Have you tried it before?